Back to work after quite a long time of silence, now recalling MODE SUISSE Edition 7 last February in Zurich. MODE SUISSE is definitely full of surprises. Replacing intimacy, POWER seems to be the appropriate watchword for this edition. Plunge into it via the following selection of looks, in order to clearly imagine what it was all about. Amplitude has definitely to be first mentioned, the body asking for more than only some space. Even in Sara Vidas’ collection, however skirts get shorter and crop tops coyly emerge, materials do not smother the skin. 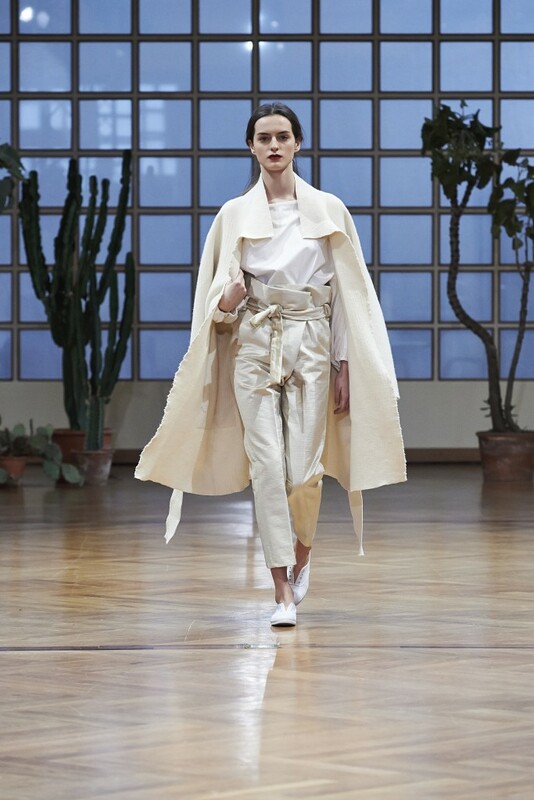 Moreover, one is not allowed to accuse Claudia Bertini’s mass of layering with making the whole heavy: the designer opted for soft colours and fluid lines with her eyes open. 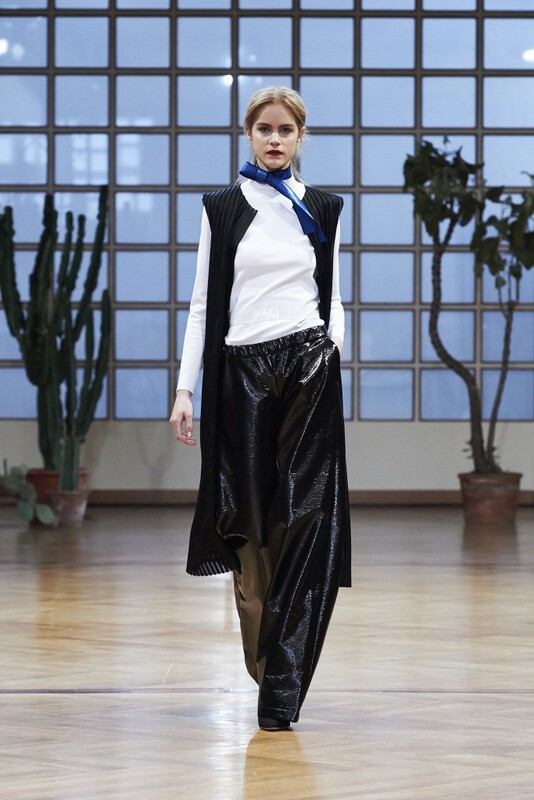 On the other hand, stf (Schweizerische Textilefachschule) assumes its dichotomy white/black, overdoing it by all in white looks putting forwards purity, surface and simplicity, while finding inspiration in The Renaissance on the other (obscure) side. Still in a dark mood, a different one though, huber egloff empowers the woman’s silhouette, fleeing lots of sexist clichés by presenting past and future interlinked through marriages between both textures and clothing codes. Flirting with sportswear, La Cri does not neglect anything, but knows how to bring out the IN-Girl, sneakers on obviously. 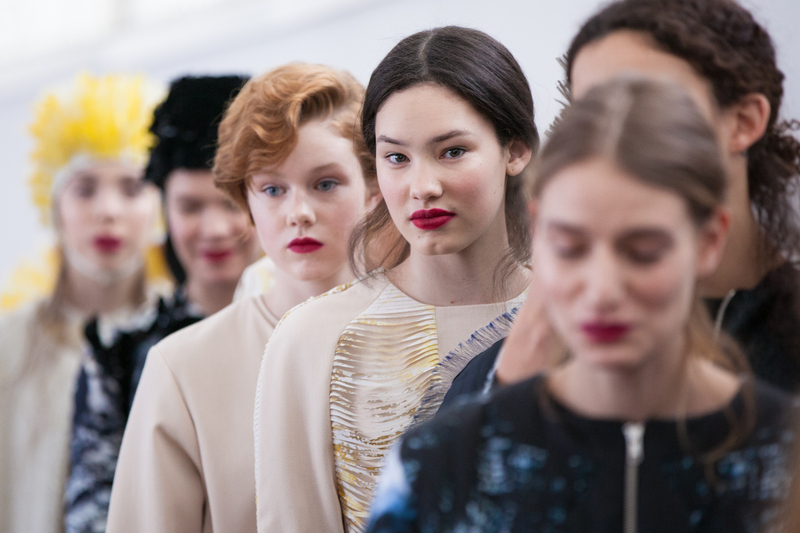 Autumn/Winter 2015’s promises? Reckless attitude. Empowered women. Swiss pavements be ready. 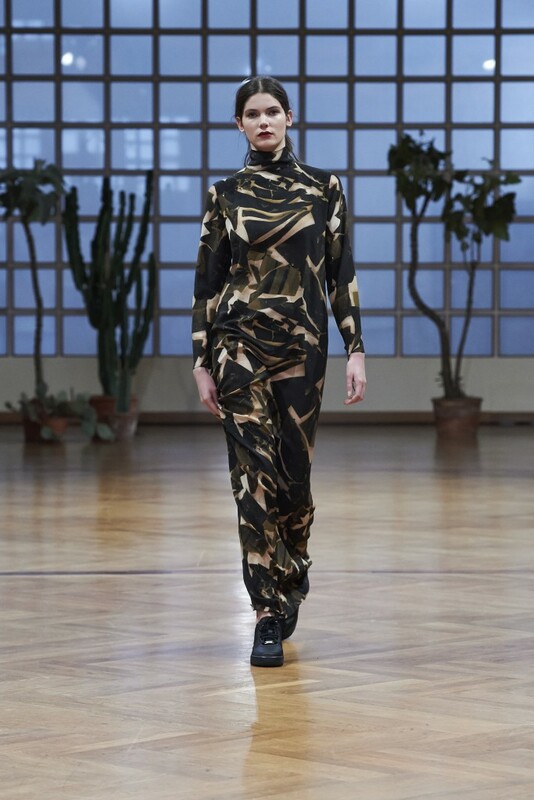 On the runway of Emilio Pucci Fall 2013 Ready-to-wear Collection. On the runway of Balmain Spring Summer 2013 Ready-to-wear Collection.